add 2 tsp salt,1 tsp garlic powder,1 1/2 chili powder, 1/2 tsp pepper. mix with spoon. add 1 egg, mix with spoon. 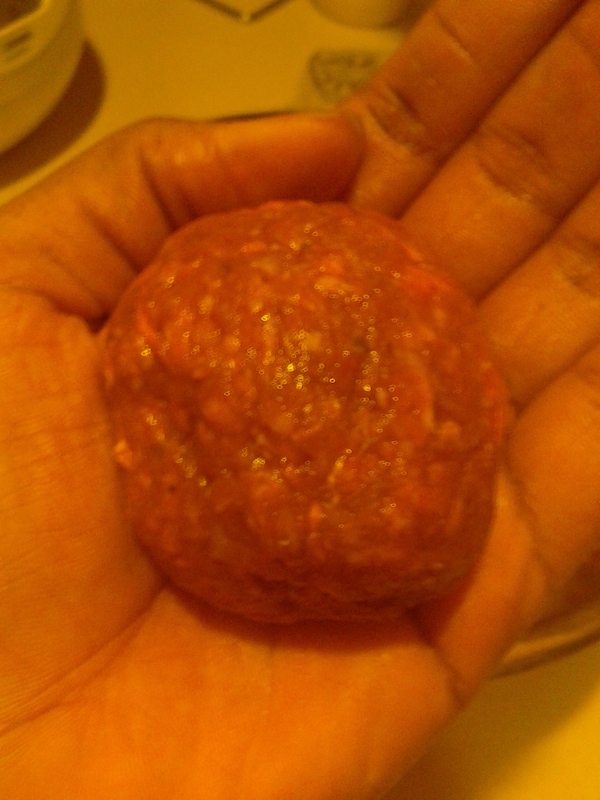 make into golf ball sized meatballs. 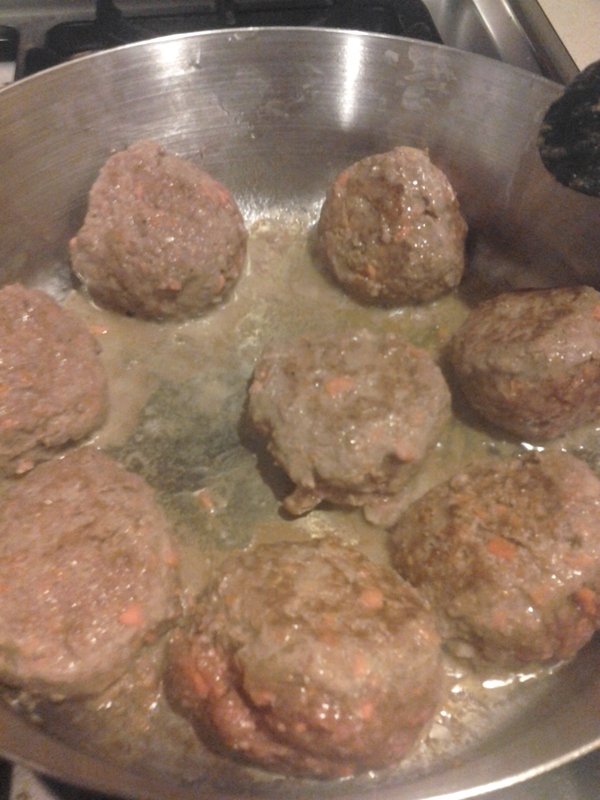 in a large skillet over medium high heat, add oil or butter, then add meatball and brown on 2 sides. don’t worry about cooking all the way through, the oven will take care of that. and put in your 350 degree f oven for 20 or so min or until meatballs register at 170 degrees on an instant read thermometer. tada! serve alone or over rice or with potatoes, or whatever else you can think of. they are pretty versatile in my opinion. Optional: gravy. 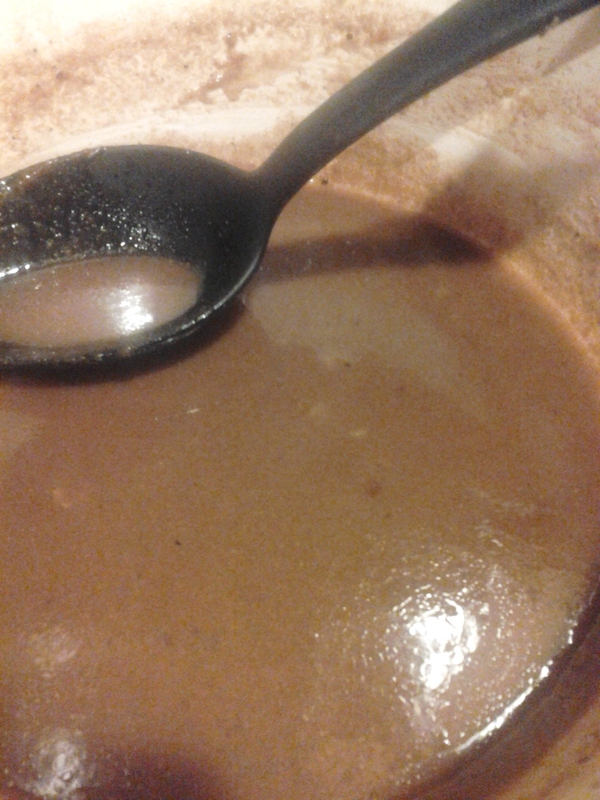 take drippings from the baking dish and add them to a sauce pan. add 2 tablespoons flour and 2 cups of milk. season to taste. 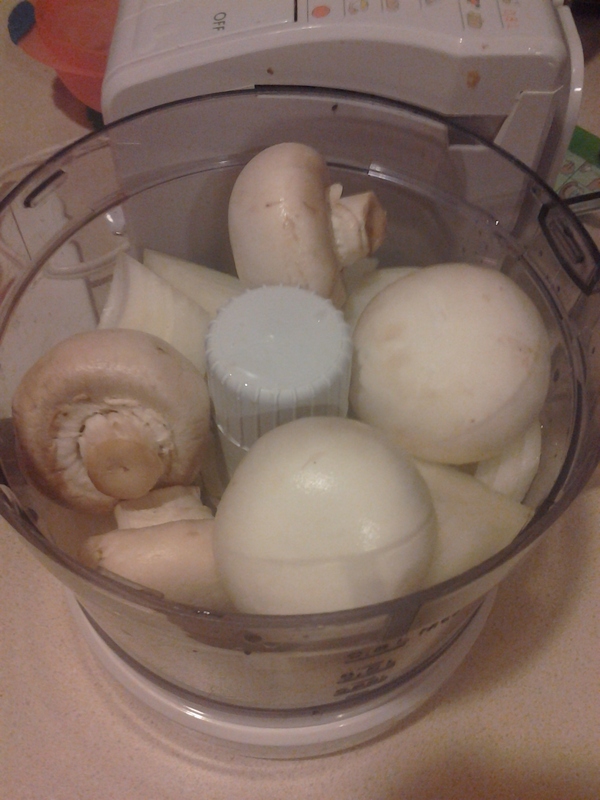 bring to a boil stirring constantly, turn down heat to medium and cook for 1 min or so. 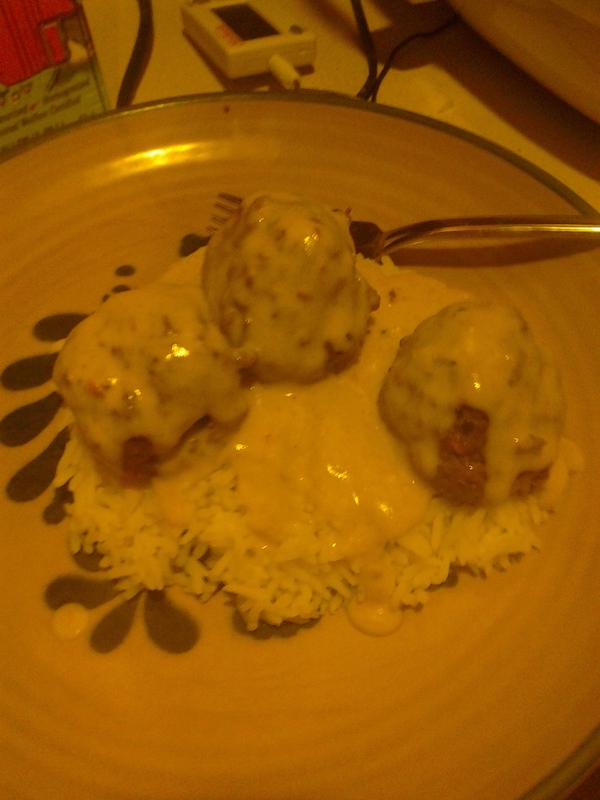 ladle over meatballs. 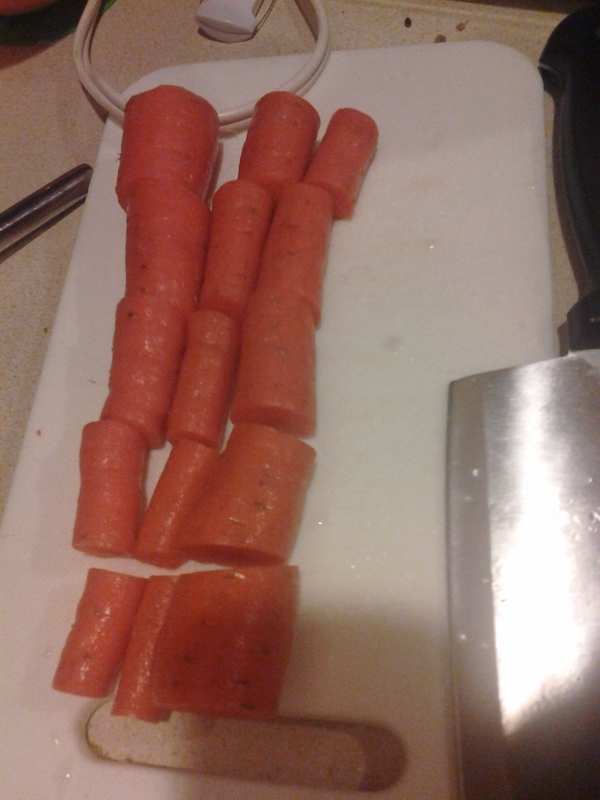 Preheat oven to 350 degrees f. Cut up veggies roughly and put in food processor. pulse until fine. pick out any large pieces. put in large mixing bowl. 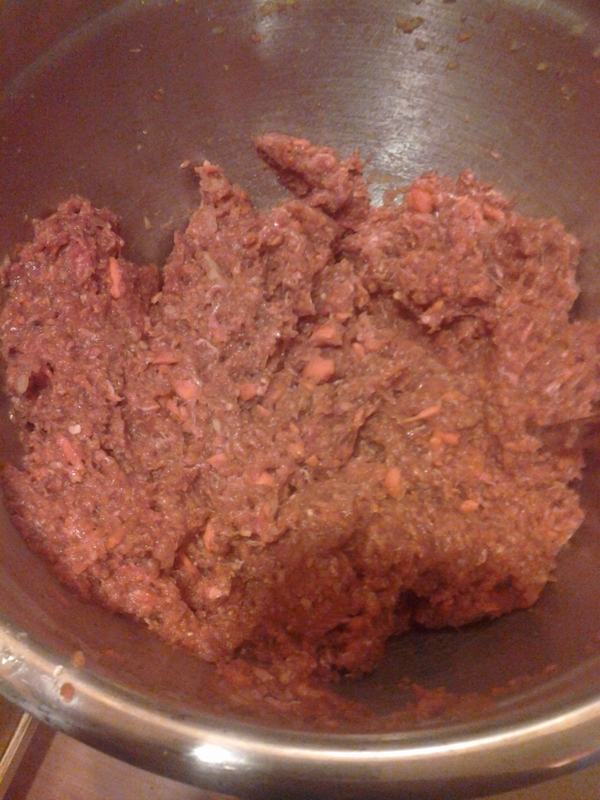 add in ground meat and seasoning. mix with spoon. add egg, mix with spoon. 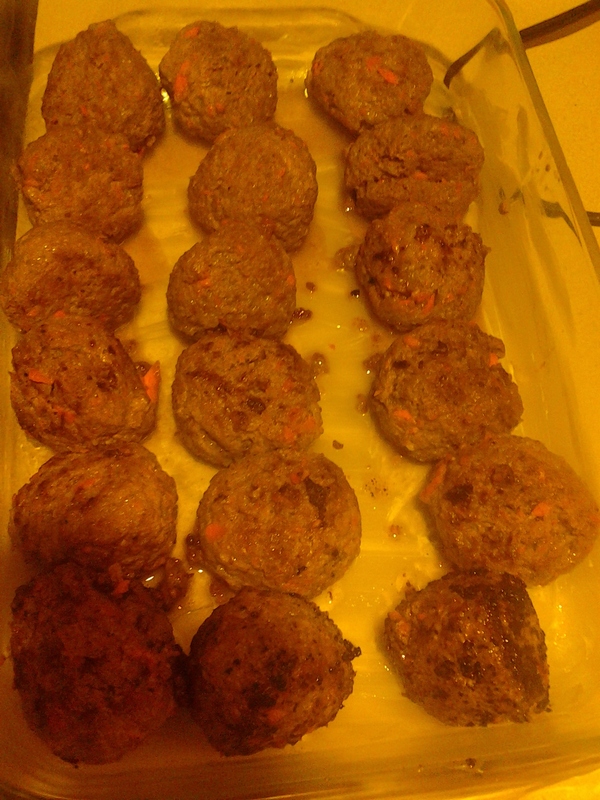 form into golf ball sized meatballs. in a large skillet or medium high heat, add oil or butter. 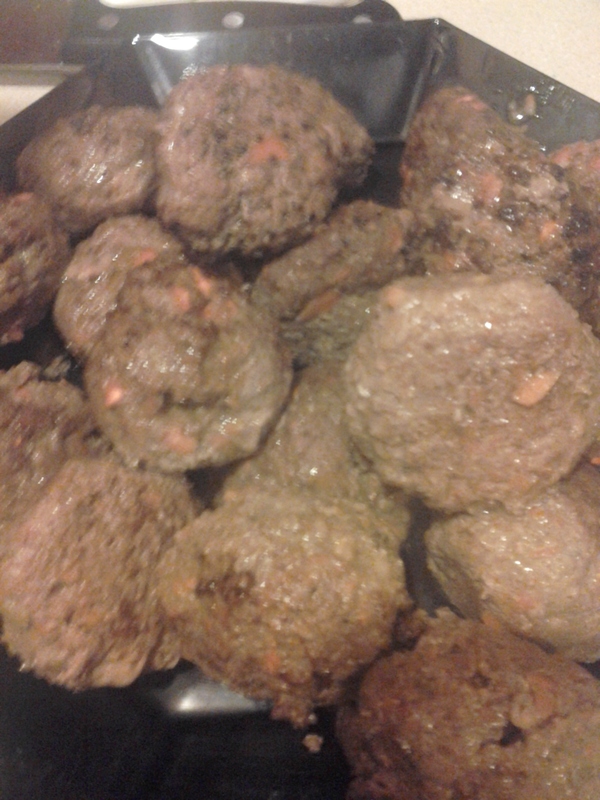 place meatballs and brown on 2 sides. add browned meatballs into baking dish, place in oven and bake for 20 min or until they register at 170 degrees f on instant read thermometer . serve alone or over rice. So yeah, sorry for not posting last week. 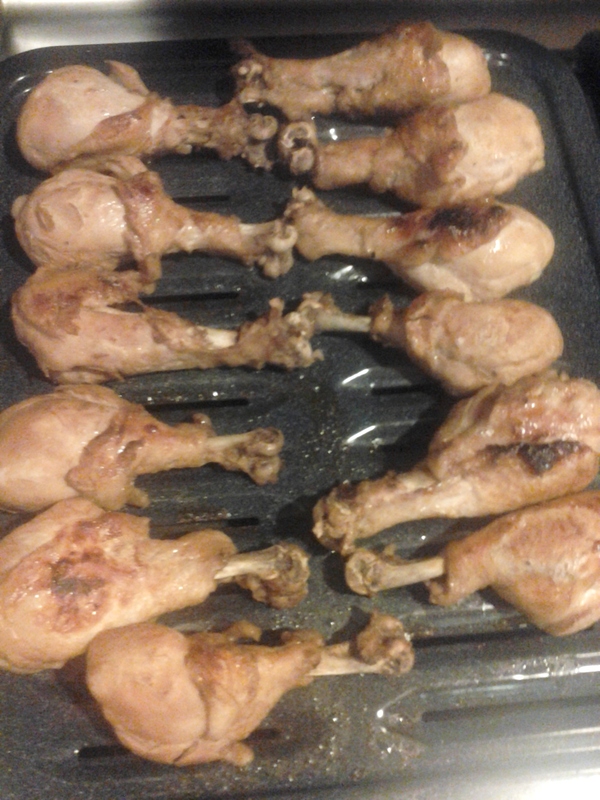 Anyways, I made some delicious chicken! 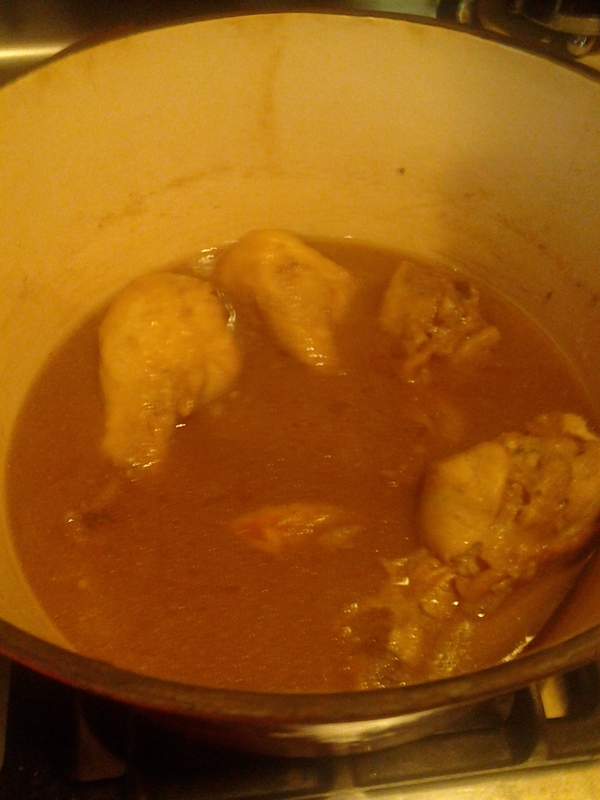 brought it up to a boil and simmer until chicken was done. Put the chicken under the broiler until skin side was golden brown. 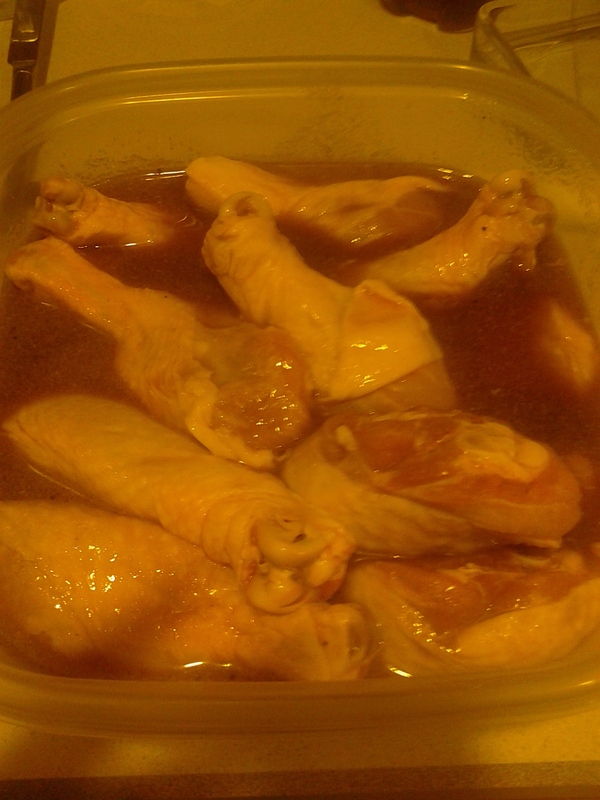 Boiled the marinade until it got to a gravy consistency. served over rice and voila! it was pretty good. 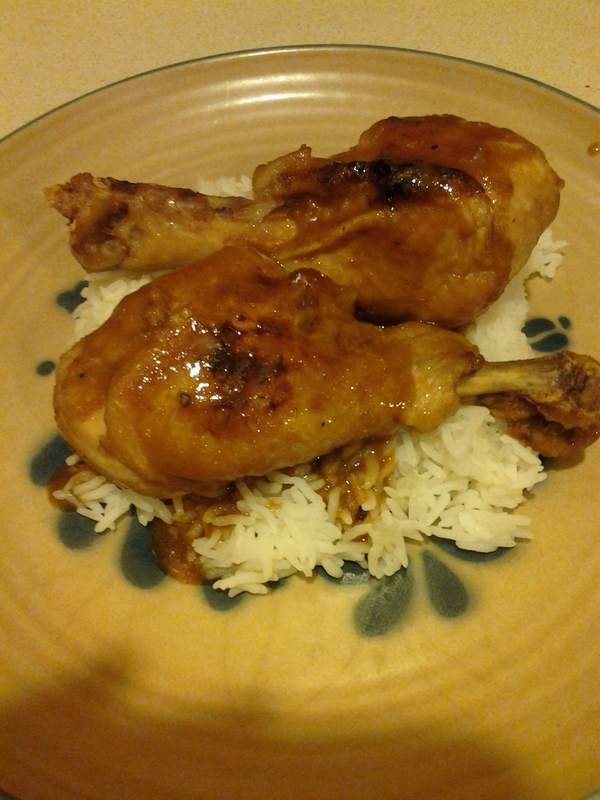 the chicken was moist and flavorful, the sauce was tart and delicious! woot!